I know there are a lot of women out there who just LOVE their hairdresser, but my feelings for my stylist run deeper than the shampoo bowl. I met Eraka…or should I say, “Hairaka” as Natalie calls her, when Noah was a preschooler and Natalie just a baby. I was juggling work while managing Noah’s therapies and seizures along with Natalie’s growing eczema and ongoing sleep issues. The last time I had given myself permission to enjoy a haircut was when I donated my hair to Locks of Love. However, as I listened to woman after woman in our MOPS group not only rave about their new styles, but recount how much fun they had while in her hands – I thought, I want some of that. When she enters a room, Eraka is a hard person to miss as she seems to radiate positive energy. Her ready smile and infectious laughter is rivaled only by her willingness to give hugs to anyone in need of one. During that first cut, I learned that while we look and carry ourselves very different on the outside, inside we share a lot of the same struggles and dreams. Today, five years later, our friendship has grown beyond the commonalities of motherhood. She’s my party-decorating-partner-in-crime, and like me, believes no social gathering is really good, unless costumes are involved. Whenever I spend time with her, I always return home walking a little taller...more so than can be explained by hairspray alone. 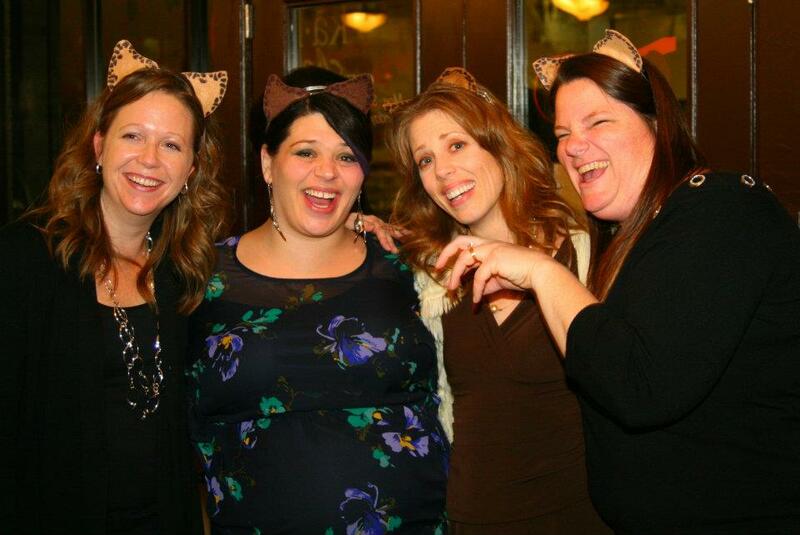 (L-R) Barb, Eraka, me and Nancy at my surprise 40th - Eraka chose a cougar theme. On 4th of July, she messaged me to say she and the kids were having a lemonade stand and were going to donate all the profits to Action for Autism St. Louis– an organization near and dear to our family’s heart as their support has helped us maintain Noah’s academic and social skills through his participation at Camp Happy Day. Her kids were so enthusiastic and thought of everything...even name tags. Below are the commercials they created and Eraka posted on her Facebook page to entice customers. If you are in need of a new 'do. Visit "Eraka Scissorhands" at Trim - A Hair Salon in Kirkwood, MO. And, if you'd like to buy a "virtual cup" of lemonade. It will fill up your heart without affecting your waistband one bit. Click here and type lemonade in the comments section. This is so wonderful, Andrea! 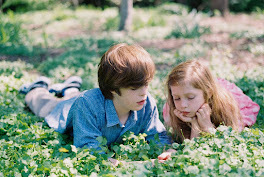 Thanks to Eraka, her awesome kids, and to you for sharing our mission in your fun blog! We'd love a photo to share in the Newsletter! :-) THANKS! wow, this makes me feel a little less stressed just reading about your fun haircuts. What a nice friendship surprise! I feel that way about Sam's developmental therapist. I wasn't expecting her to be such a wonderful source of fun and friendship! I feel like I've missed out on talking to you this year at CHD. Too hectic with the other kids at pick up. It's nice to stay connected via your thoughtful posts!! !